Can Psychic Readings help me relax? For centuries, people have been turning to psychics and the clairvoyant for a wide range of reasons, and one of the most popular reasons to visit a psychic is to find a way to relax. Unlike traditional forms of relaxation, such as massage therapy or yoga, a psychic reading can often address the underlying problem contributing to physical, emotional, and mental stress. A psychic reading can both uncover problems and offer solutions. Getting a psychic reading has never been easier in this era of modern technology. People can access a reputable psychic via the internet, phone, or in person, and this makes a psychic reading a logical and accessible solution for many people who need help relaxing. 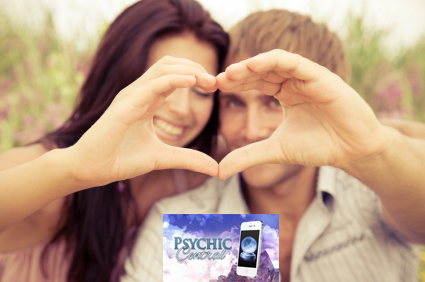 It has never been a more convenient time to get a psychic reading, because these avenues for getting in touch with a psychic make it easy to fit time into a busy schedule. What Can a Psychic Do to Help Me Relax? Many people have deep seated tensions that have underlying, subconscious causes. These types of stressors can be incredibly difficult to target without the proper techniques and knowledge. Thankfully, psychics are used to reading a person’s aura and determining a variety of aspects about their past, present, and future. These skills are equally as useful in alleviating stress and helping individuals relax as they target the root of the problem. Often times, people are stressed because of pressures that they feel weighing down upon them. Many times, these can be expectations about the future, and often these uncertainties and doubts about the future are enough to incapacitate people from taking action. A psychic reading can be a great way to dig into somebody’s fears or worries and let them find some semblance of resolution. This resolution is often quite calming. In addition to palm readings and other readings, a clairvoyant such as a psychic can also help eliminate stress from an individual’s past. Sometimes, the death of a loved one may be crippling someone’s efforts to relax. The tension that comes from not knowing whether or not they are doing okay can create a lot of excess stress in someone’s life. A psychic can serve as a medium and communicate with the deceased to reassure the living. Are Emotions Really Getting in the Way of Relaxing? Many professionals and scientists believe that emotional turmoil and tension can often be the largest contributing factor when it comes to a person’s stress. While stress may manifest itself in physical tension, many times the tension is rooted in emotional trauma that has been left unresolved. Through uncovering deep, subconscious emotions and providing a new spiritual perspective, a psychic can offer unparalleled relaxation. One of the greatest benefits of seeing a psychic to relieve tension and relax is that a psychic offers long term solutions to find solace and relaxation. Many people express unhappiness at the need to constantly schedule more trips to the chiropractor or masseuse, but a psychic gives their clients the tools they need to uncover solutions and find lasting happiness. Click Here to checkout some of our Psychic Central Readers.. They will help you relax.